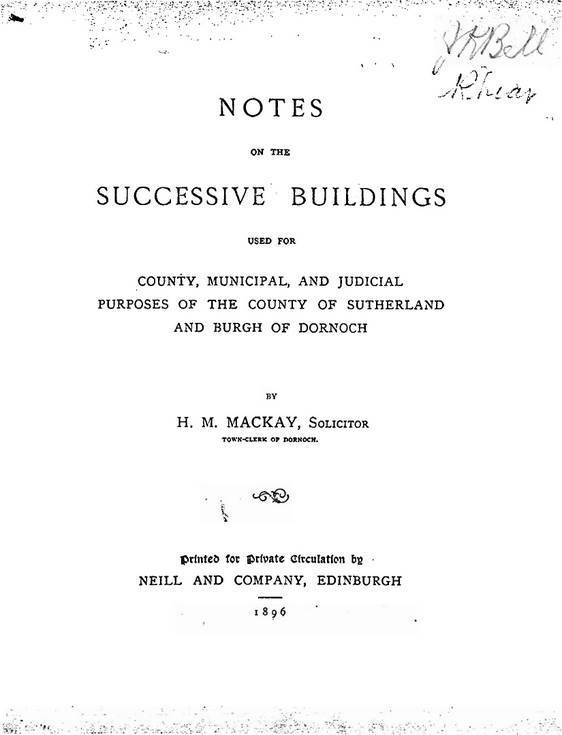 Photocopy of a book entitled "Notes on the Successive Buildings used for County, Municipal, and Judicial purpose of the County of Sutherland and Burgh of Dornoch, by H.M. Mackay, Town Clerk, Dornoch, 1896". 14 stapled pages. 2 copies.